Chicago’s long-time theater critic for the Chicago Sun Times and WTTW-TV, Hedy Weiss, has been the target of many in the city’s theater community for a review she wrote on “Pass Over,” a play that is currently running at Chicago’s highly respected Steppenwolf Theatre (through July 9). The world-premiere play by Antoinette Nwandu, directed by Danya Taymor has been described as a provocative and hilarious riff on Waiting for Godot (where the white leads from the original 1950's classic were replaced with contemporary black men for the current production) in order to expose the plight of young men stuck in a cycle just looking for a way out. What I don’t understand is all of the negative and mean-spirited rhetoric directed toward Weiss, her review and even her person—calling her a racist, a homophobia and an old white person writing for a dying paper. And, as of today, 70 of 200 of Chicago’s theaters have signed a petition to no longer offer her complimentary tickets to their productions. Come on, people grow up. I love Chicago theater, the theater community and everyone involved in it. I believe that Chicago Theater is second to none. And I’m not alone. The Wall St. Journal and the New York Times have given high praise to our theater scene over and over. So why the uproar? 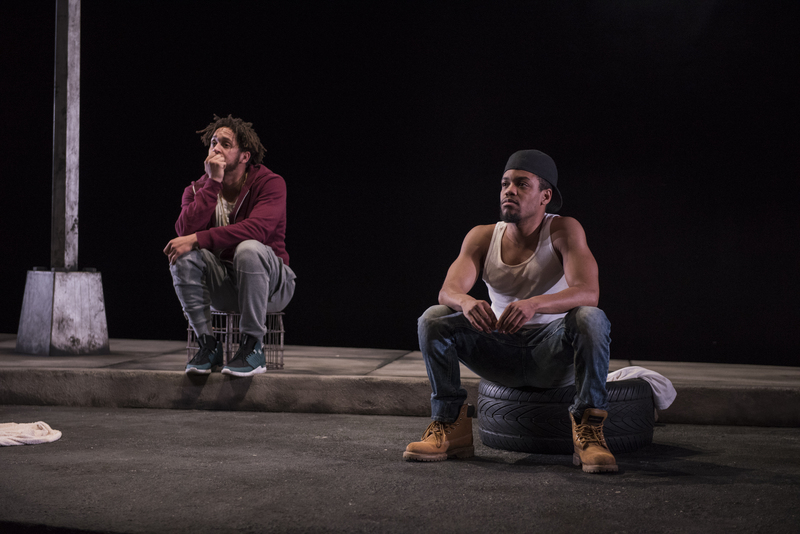 For her review, of "Pass Over," a show for which she gave high praise until the final paragraph, when she stated:"No one can argue with the fact that this city(referring to Chicago)--has a problem with the use of deadly police force against Aftican-Americans. But, for all the many and varied causes we know so well, much of the lion's share of the violence is perpetrated within the community itself." That is the bombshell that seems to be growing louder every day. Whether Hedy is racist, as accused, or just stating an opinion that may or may not be factual and whether her opinion is crucial to the review, can be argued by both sides. But the real question is: as a critic, does one have the right to call things as they see them? Just as the theater itself has a right to produce shows that make people think, question and agree or disagree, does a critic have the same right? I was hoping to see "Pass Over" before I commented—or tried to review Hedy's review of "Pass Over"— but that actually is not the point. What we need to be asking: "Is what are the rights of critics?" And at what juncture does "free speech" crossover to "forbidden speech?" As a journalist, who has spent many opening nights in the same audience as Hedy, reviewing shows…I do not think that I have ever seen a harder working reviewer. While many of us are enjoying a cocktail or two and a big dinner before the show, Hedy gets to the theater early, often alone, (even though as a critic she receives complimentary tickets for two). She may grab a quick snack before the show—I've seen her getting take-out from Billy Goat. Throughout the duration of the show, she takes conspicuous notes seemingly giving the production her full attention. Then writes a detailed, critical, and timely review. Weiss has been covering the arts for over 30 years--almost nightly. That's a lot of shows. Should the theater community turn their back on her? Sure, we want other voices and opinions. But should we value her experience and expertise, even if we disagree...or should we throw her out with the bathwater.